When shopping for insurance, you can carry out your research online. This makes it easier to compare between different insurance providers and auto insurance quotes for business. With auto insurance you will be able to receive affordable and adequate coverage. Sparing some time to shop around for auto insurance will help you save money and time. A key advantage of making comparisons is the opportunity to save large sums of money each year. The money that you end up saving can be invested into other aspects of your business. Finding suitable auto insurance begins with determining how much cover you require. Aspects such as where your business is located can influence this decision. Find out the requirements and figure out the type of insurance that will appropriate. When you know what the insurance requirements are, it is easier to make a choice. Your decision will also be influenced by your need to be protected by certain levels of risks. For people who have several assets it is always advisable to have adequate liability to cover them. Although minimum cover as provided by the law or lender will cut down on costs, you restrict what you are entitled to if you need to make a claim. This is why taking more coverage than the minimum is recommended. 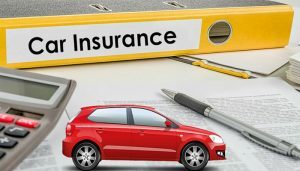 Another important step towards investing in auto insurance is the policy that you currently have. Go through it and get in touch with your insurer if you need further clarification. Note down how much coverage you currently have and the payments that you are making. Consider how much your insurance costs you annually and compare this figure to the insurance quotes that you gather online. This gives you a figure to work with and try to get something more affordable. Shopping for insurance is worth the time and effort to make the best investment. With your current policy and information pertaining to your vehicle, you can proceed to shop online. In order for you to be able to get relevant insurance quotes, you need to provide the required information. This makes it possible for you to create a list of insurance rates that you can compare. As you complete the quote forms, it is important to note that some sites will issue instant quotes while others will provide them later. Research on the different insurance companies and compare between the prices and coverage. Create a list of the rates of different insurance policies. The rates may be monthly or annual. The type of coverage you want should be consistent to make it easier to make comparisons. If you are unable to get the information that you need online, you can call the insurer directly. Find out about the payment policies of the insurance provider. This includes aspects such as when payments should be made, payment plan options and late payments. Although you can get quotes on the phone, it is advisable to have them confirmed in emails for future reference. There are auto insurance discounts that are worth pursuing. You may be able to get lower premiums for reasons such as driving records.